I am breaking my own golden rule and sending out an extra email this month due to exceptional circumstances. 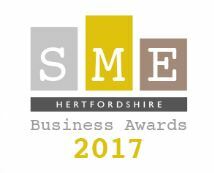 I am amazed and delighted to have been nominated for "Best Customer Service" at the SME Hertfordshire Business Awards. If you put me forward, you made my weekend, "thank you". I'd be delighted if you could click on the link and vote for me. Every vote counts! Copyright © 2017 Parallel HR Ltd, All rights reserved.